The Armenian-Turkish events of 1915 have been a long since dispute between sides; a confrontation between two countries about a “supposed” genocide that saw millions “supposedly” slaughtered. The nature of the genocide is still debated, with no agreement made between Turkish Prime Minister Erdogan and Armenian President Kocharian. So much so, that even today, the word ‘genocide’ used in Armenian context is punishable in court, as writer Orhan Pamuk and publisher Ragip Zaraoklu, both charged with the crime, are aware. Armenia, according to WikiLeaks’ documents, had extended their olive branch in 2005 with an email, wanting to establish open communications with Turkey in hopes of paving a way to healing this deep and long rift. However, although Armenia displays no preconditions to the establishing of relations with their neighbor, and to “open borders,” Turkey continually dodges the chance and rather, maintains their closed borders with what some may see as obsession. Turkey maintains “territorial integrity” in the first of many WikiLeaks documents, and for some unknown reason, maintains the unresolved issues of the Nagorno Karabakh conflict – a conflict involving a third nation, which Armenia states has nothing to do with them. 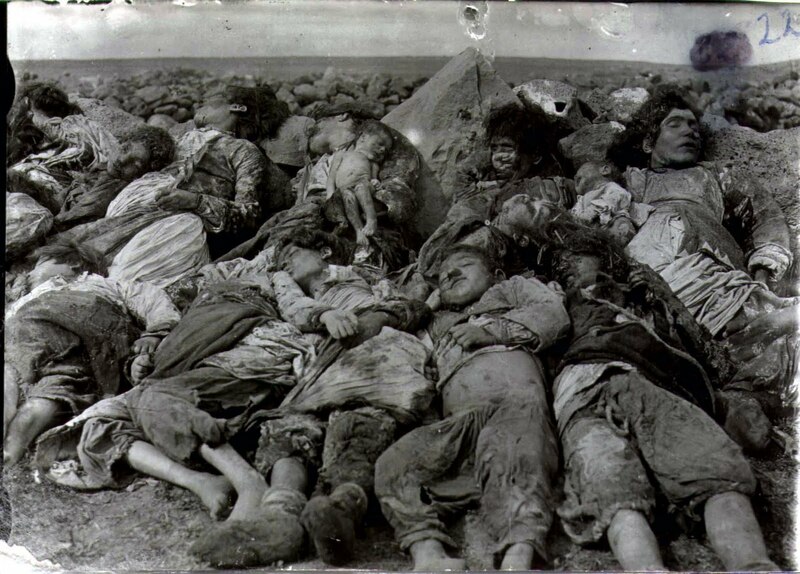 Referred to as the Armenian “question” that “most Turks refer to as the ‘supposed genocide’,” the 1915 tragic events ‘supposedly’ saw 1.5 million Armenian deaths occur in the Ottoman Empire. The contrary argument from Turkish historians, however, has claimed that the number was no more than a few hundred thousand who met their death from “bandits, disease, and harsh conditions, when, in response to the threat posed by Armenian insurgents (and the massacre of many Turkish Muslims), much of the Armenian population was deported to Syria and Lebanon,” according to the leaked document found on WikiLeaks. There has been a tireless effort over the years by Armenians to get recognition of the massacre. However, obtaining so-called “open” documents and accounts from the Ottoman archives, to study the events, appears to be more of a task than pulling recognition from Turkey’s Prime Minister Erdogan. According to one document, Armenian “Genocide” and the Ottoman Archives, the continual obstruction by the Turkish government when Armenian scholars attempt to access the historical accounts only adds fuel to the fire; what are the Turkish possibly hiding if they aren’t guilty? Some 150 million documents, according to archive officials, is readily available. However, to support their claims, it was a list of Americans who received copies of catalogues over the years. Some 70 million archives, though, remain under lock and key, with it rumoured that retired Turkish diplomats and generals had spent months pouring over them, purging the archives for a second time in history. Although Turkish academics question the history presented to them, and attitudes have somewhat evolved, the Turkish government’s official stance is to challenge the notion – to the point of having high school students submit essays in a competition, denying the genocide and taking the line “leave the issue for historians to discuss.” The very line that the Armenian President argued in his leaked email to Erdogan while trying to establish diplomacy between the nations. A third leaked document notates how the Turkish government tried to stonewall a program in 2011, which was to air on Iraqi television, documenting allegations of the Armenian genocide. Washington was quick to point out to Tourunlar that it was the station’s call to air the programme.